Real estate is the second largest employer after agriculture in India and is estimated to grow at 30 percent over the next decade. It is also estimated that this sector will get to see more non-resident Indian (NRI) investments as compared to the Indian resident investments – in both short term and long term. As per the estimation, Bangalore will be the most preferred investment destination for NRIs followed by Chennai, Ahmedabad, Delhi, Pune, Dehradun, and Goa. The growth of real estate will be largely due to the growth of corporate environment, increasing demand for urban, semi-urban accommodations and need of co-working spaces. 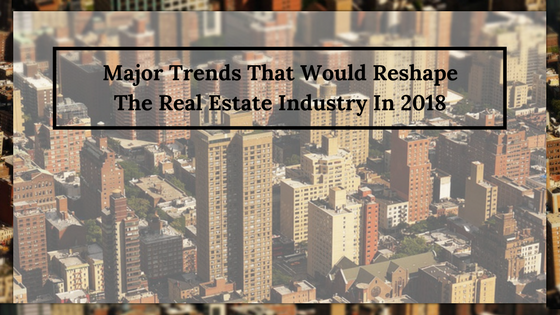 As 2017 is about to end, we are here with a small analysis of the trends that would be majorly responsible for reshaping the real estate industry in 2018. Scroll down to know more. Indian real estate market is a considerable contribution to India’s GDP. With an average gross value that touches a whopping US$ 180 Billion; it is a 5-6% part of India’s GDP. 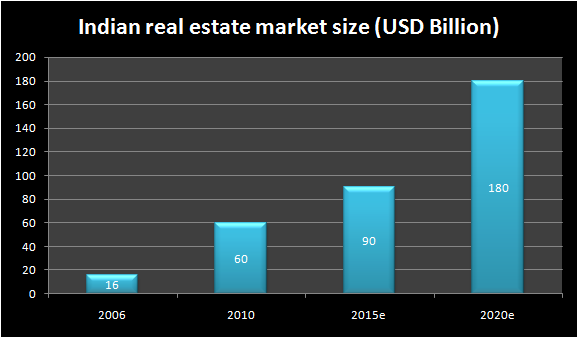 Indian real estate has attracted the US $32 Billion in equity so far. It is foreseen that the market size of India will increase at 11.2% Compound Annual Growth Rate (CAGR) in the period financial year 2008-2020. With a significant growth in hospitality, retail and commercial real estate, it will be a much-needed supply to India’s demand of infrastructure. This has also helped to establish India’s reputation as an attractive investment destination, as well as has put the Tier1 cities of India on 36th rank in Global Real Estate Transparency Index. Till 2016 the new residential projects were lower than the products sold. With the implementation of RERA act, there will be a new level of transparency and accountability on the part of developers and is thus expected that there will be an increase in the investment from public buyers in the real estate sector. Also with the introduction of GST and Benami Property Act, the government has forced the businessmen to revamp up if they want to remain in the race. Apart from that, there is the Smart city Project which has planned to build 100 smart cities which are a big opportunity for the real estate sector. Then the government of Delhi has ordered 89 villages as urban areas, thus enabling easier operation on land policies and building of affordable houses. This provides building projects to companies like TATA, GODREJ etc. In the last few years, the introductions of new land policies and acts have got the developers on foot. The RERA act, on one hand, has increased transparency of the projects and has given the buyers right to updated and detailed information regarding their property and construction projects. Then the Benami Property Act, Goods, and Services Tax and the demonetization Act have all shook up the older ways of running a business and forced developers to upgrade their models. These moves have perked up the market on one hand and additionally have also opened new doors to better and numerous opportunities. The Real Estate Investment Trust is a company that mostly operates income-producing real estates. The REIT has a list coming in a few months. This list will be a big attraction to smaller investors and institutions as it provides regular dividends at smaller risks. Smaller investors will be especially profited as REIT requires 80% compulsory investment in income-producing properties and optional 20% investment in development projects. Thus smaller projects like residential complexes and duplexes will be more encouraged. Here Indian REIT is hugely profitable, with approx. 229 million sq. feet office space with REIT compliance. Even if 50% of this is done over the next year, it will account to $18.5 Billion, and so REIT is a sure growth catalyst. With increasing start-ups in India, co-working spaces are popping up in increasing rates to provide flexible spaces at affordable rents. Although there is limited space, this sector is improving, given the advantages of cost efficiency, enhanced productivity options for companies that want their client teams close to their respective client sites. Hence, working operators and corporate will move into a ‘hybrid’ sort of space. Though real estate industry is an unpredictable sector when it comes to investments and benefits, these trends are likely to be seen in the coming year. Also, a lot of start-ups and SMEs will play a major role in this sector. Indian real estate industry is supposed to give a tough competition to the stock market as well. Read our next article to learn more about the better investment opportunities in the real estate and stock market. 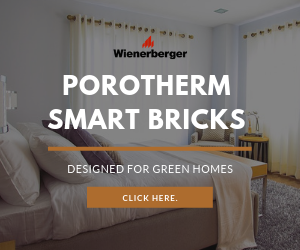 B2B Corner #architect, #greenliving, #recycle, #sustainability, Green building trends, Green Buildings India, Indian Real Estate, Property check list, real estate, real estate 2018, trends. permalink.